Some 401(k) plans include a provision for in-service IRA rollovers. 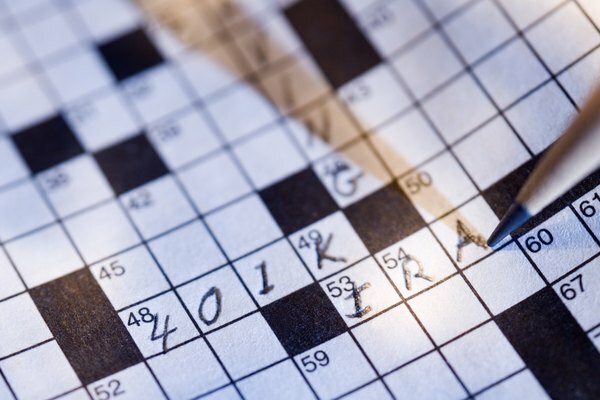 Employer-sponsored 401(k) plans usually include investment options such as stock funds, bond funds and money market accounts. But in some instances, you may not like the options your employer offers. The good news is that you always have the option of investing your money on your own. If you've already put money into your employer's plan, you can also roll that money over into an account of your choosing. But be aware that you may experience different contribution limits with the new plan you choose. As long as your employer doesn't have a restriction, you may be able to roll over your 401(k) into a self-directed IRA. However, you can't roll over any nonvested funds. Technically, you can roll cash from your 401(k) into a self-directed IRA once you reach the age of 59 1/2. However, while the federal tax code permits such rollovers, your employer has the right to include or exclude a provision for in-service withdrawals in your 401(k) plan. You retain the tax-deferred status of your retirement nest egg when you move it from a company-sponsored plan into an IRA. You can roll employer contributions to the account as well as your own contributions and the account earnings. Before reaching the age of 59 1/2, you can roll over your account earnings and your own after-tax or Roth 401(k) contributions. You can also roll over funds held in your current employer's 401(k) that you previously rolled into that an account from a former employer's 401(k) as long as the cash was originally contributed by your employer rather than you. You can't roll your own contributions to your 401(k) while you're still employed. However, in-service withdrawals for people under the age of 59 1/2 are subject to the provisions detailed in your retirement plan. The Internal Revenue Service permits rollovers, but your employer may not. Vesting is the process through which you gradually become entitled to certain benefits offered by your employer. Your employer's contributions to your 401(k) are subject to vesting schedules. This means your employer's contributions to your account only become yours after a period of between three and five years. Regardless of your age or your plan's in-service withdrawal provisions, you cannot roll over nonvested funds. Your own contributions to your 401(k) and your account earnings are immediately vested and therefore available for rollovers. You have a 60-day window to complete a rollover from a 401(k) to an IRA. If you fail to complete the process within this timeline, the event is recharacterized as a fully taxable withdrawal. Aside from paying income tax on the money, you may also have to pay a 10 percent tax penalty if you haven't yet reached the age of 59 1/2. You can avoid tax complications by organizing a trustee-to-trustee transfer, in which case your employer deposits your 401(k) money directly into your IRA. You have to contend with the 60-day window only if you personally take possession of the funds. Good Financial Cents: Ask GFC 032: How Does 401(k) Vesting Work?